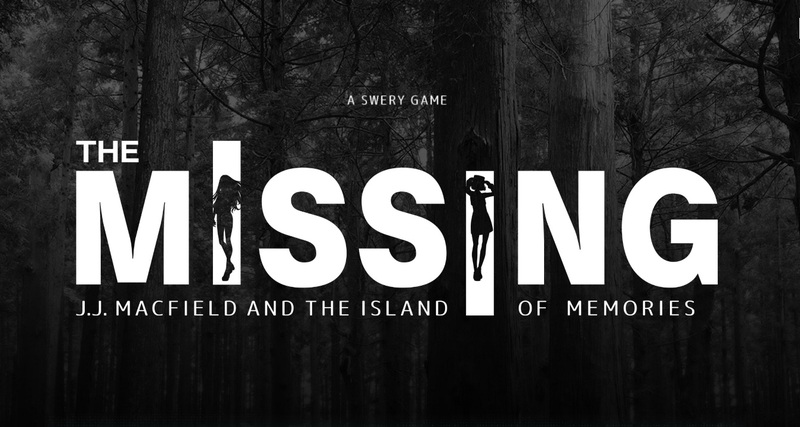 The MISSING: J.J. Macfield and the Island of Memories (and yes, that’s the games full title) is the latest title from developer White Owls Studio. While it’s smaller in scope than the similarly strange, yet fascinating Deadly Premonition from Hidetaka “Swery” Suehiro, The MISSING is still one unique and memorable experience that you wouldn’t expect to come from anyone else. The MISSING is a 2D side-scrolling platform puzzler in a similar vein to Limbo and Inside that is clear on what type of gameplay experience it delivers from the start. The story begins with the player being given two messages, and The MISSING was made with the belief that nobody is wrong for being what they are. The narrative and content contain explicit material, including extreme violence, sexual topics, and depictions of suicide. These messages are right on point and pertain greatly to the overarching message the game wished to portray. In The MISSING, the story revolved around Jackie, or J.J. for short, as she takes a camping trip away from her uptight mother with her best friend Emily on a shadowy island off the coast of Maine. The look and feel is in keeping with Swery’s previous work, with the use of typical styled rural American background landscapes peppered with lonely diners, windmills, sawmills, bowling alleys, etc. If you’ve played Deadly Premonition before, you’ll immediately recognize the artistry and aesthetic used. During the trip, Emily happens to disappear and J.J. sets out to find her, although she’s quickly struck by lightning and supposedly burnt to death in the resulting fireball. Actually, that’s not correct as you soon discover J.J. can’t die in the normal sense. She’s able to endure hideous bodily mutilations and still keep going on, and that so happens to be The MISSING’s core mechanic. To progress J.J. must allow herself to be sliced, diced, and brutally maimed in order to complete puzzles in the game. All this makes The MISSING extremely macabre in presentation and as you make your way through you’ll be performing physics-based environmental puzzles, crossing platforming sections, and navigating chase scenes. Early on the violence is at least somewhat measured, for example, you might fall from a distance and land with a crunch, and while this by right should probably have killed J.J., she’s able to continue with what seems like a broken back with a slouched and staggering walking posture. This mechanic becomes much more gruesome as you delve deeper into the story with one section needing J.J. to use a wall of spikes to dismember herself and use her limbs as a counterweight for raising a platform she must traverse. Other areas see J.J. setting herself on fire to light a dark passage and there’s even instances of decapitation where you control her head as it rolls along the ground. This in turn, allows you to gain access to previously inaccessible areas. All this horror is punctuated by the noise of breaking bones, burning flesh, and J.J.’s haunting screams. As I alluded to earlier, to say The MISSING has moments of brutalization that are truly unsettling is perhaps the understatement of the year. The puzzles offer a fair degree of challenge and give a good to great level of satisfaction upon their completion. There were a few occasions where the solutions felt misplaced, although not at the expense of the overall enjoyment of these puzzling sections. The platforming is also well put together and flows without feeling clunky. There are one or two exceptions where the platforming is frustrating, although they pass by quickly without much in the way of distraction. As for the story, it’s slowly conveyed to you in a drip-by-drip fashion, with it being teased throughout. While some players might find an unnecessary interruption occurs when J.J. takes out her smartphone, it plays an interesting part and is used to explain more of J.J.’s backstory. The phone also shows us the information into her insecurities and vulnerabilities. There’s no doubt part, if not all, of the entire usage of this drip-feed approach is designed to create the tension for the plot twist and when it comes without spoilers the deliver feels somewhat misguided. Overall, The MISSING: J.J. Macfield and the Island of Memories is a dark and clearly disturbingly brutal experience, but I truly appreciate how thought-provoking and engaging the narrative to be. It definitely will not be for everyone, as I can see some players having conniptions over the possible fetish of brutalization. However, it’s a sincere personal story that, for right or wrong, will stay with you for possible months after completion.